Rare opportunity to own a highly sought after Shenandoah floor plan with a true 3 car garage ready for you to move right in. Home is gorgeous, upgrades in every area of the home and immaculately maintained inside and out! Hardwood floors welcome you as you enter and flow into the great room. The gourmet kitchen features granite counter tops, SS appliances including double ovens and 5 burner gas cooktop. The living room has a fireplace and built-in speakers with access to the back patio. Custom professional landscaping with lots of large mature trees on entire property and night lighting around trees and patio steps . The covered back patio leads to the built-in stone fire pit with a planter wall and seating wall. 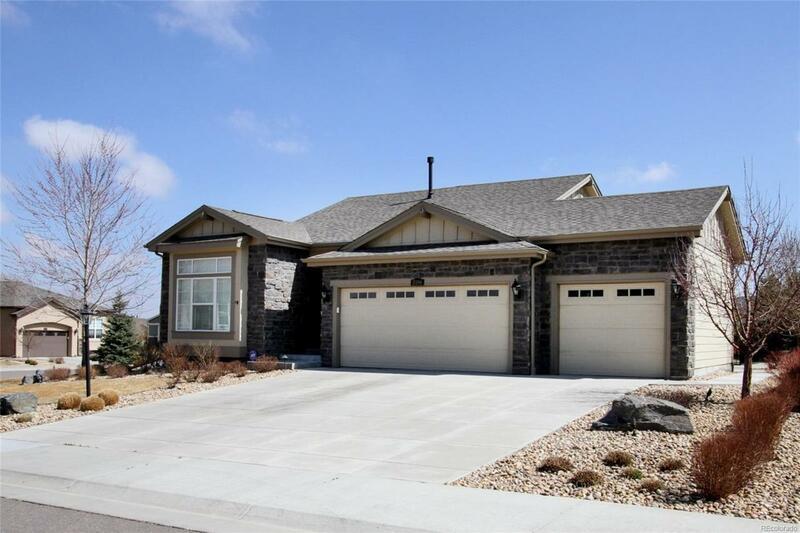 The professionally finished basement features a large family room area, wet bar with granite counter tops, lots of cabinets, large sink and mini frig. For hobbies there is a large room with tile floors, cabinets, and counter space along with a utility sink.